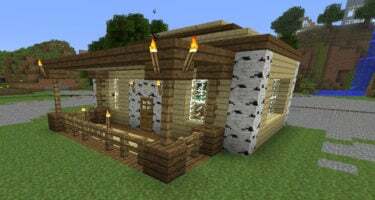 The Experience Rings mod offers a unique storage system for XP in Minecraft. 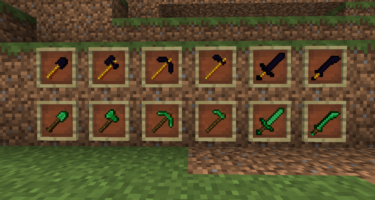 It allows you to collect XP by right-clicking it while it’s on the ground before it automatically comes to you. 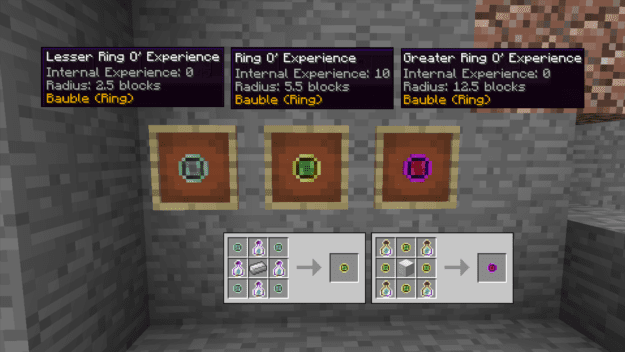 This is a great way to retain XP in case of an accident but you can also transfer experience rings to friends or simply a storage system. 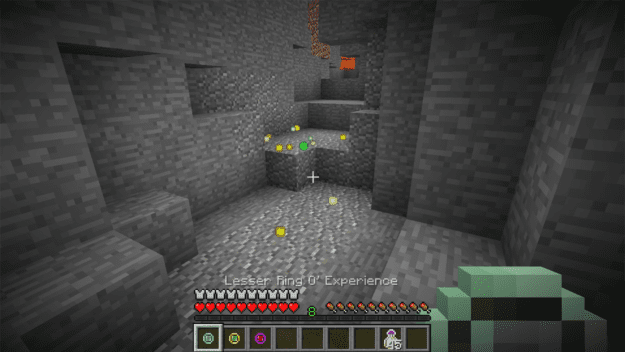 The only way to get the Lesser ring is by finding it in a dungeon first, then you can use it to craft higher rings. There are 3 tiers of rings: The lesser, the Ring, and the Greater. The only difference between the 3 is the radius in which it can pick up XP off the ground. 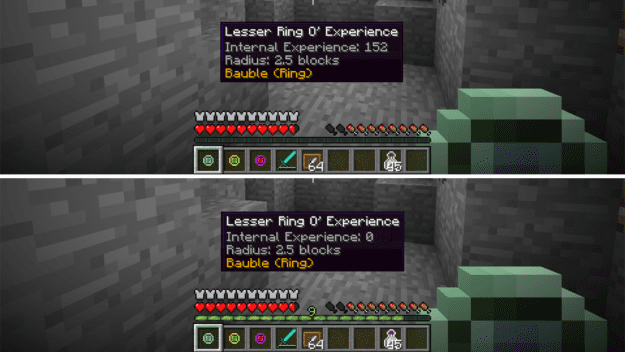 You can easily transfer XP to and from the ring by shift + right-clicking while holding the ring. Either the XP will transfer away from you to the ring or vice versa. This also works by shift + right-clicking on a friend to instantly transfer the XP to them instead. 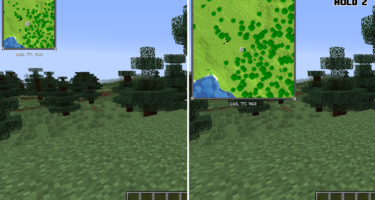 You will need the Baubles mod for this mod to work, found here.